POY's goal is to extend the reach of photojournalists to citizens worldwide, and to promote their work and the role of visual journalism in a democratic society. The POY exhibition greets visitors on the main concourse level of the Newseum. Newseum guests view the Pictures of the Year exhibition that includes more than 80 selected award-winning photographs from the 71st annual POY competition judging. Daniel Berehulak's gripping photograph of a malnourished child is the opening image of the POY exhibition. Barbara Davidson's portfolio as the 2013 Photographer of the Year - Newspapers is represented as a full panel in the Newseum display. Newseum guests view the Pictures of the Year exhibition that includes more than 80 selected award-winning photographs from the 71st annual POY compeitition judging. Daniel Berehulak's portfolio as the 2013 Photographer of the Year - Freelance / Agency is represented as a full panel in the Newseum display. POY photographs from the Science & Natural History categories are displayed at the Newseum's exhibition. POY photographs from the Sports categories are displayed at the Newseum's exhibition. An audience-interactive monitor (lower right) allows visitors to "be a judge" and see how their selections from the finalists compares. POY awards nine "Premier" prizes each year: four Photographer of the Year winners for Freelance, Newspaper, Sports, and Multimedia; plus categories in World Understanding Award, Environmental Vision Award, Community Awareness Award, Documentary Project of the Year, Best Photography Book Award. The awards come with a Tiffany crystal engraved trophy and a $1,000 cash prize to each recipient. Click here to visit the Newseum's web page on the POY exhibition. 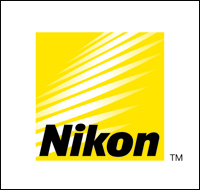 Nikon is the exclusive sponsor for the 2014 POY exhibition.